LunchPlus books multiple lunches for you. 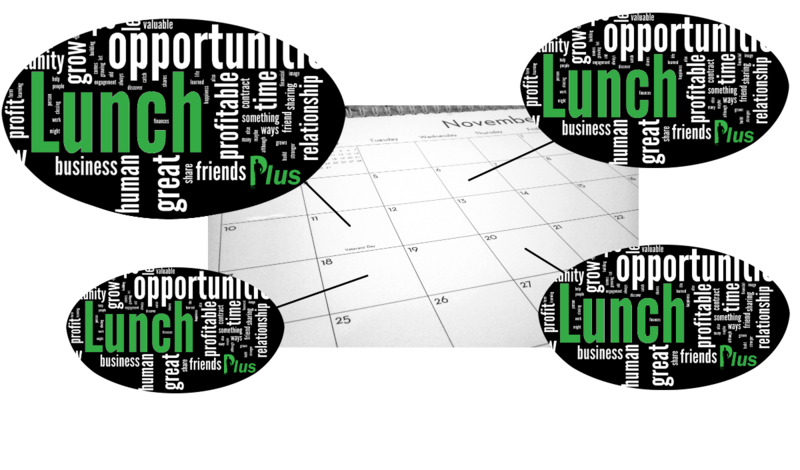 Yes, booking a lunch is not difficult... once you know who, where, what date, and when. But, tracking those down is the time-consuming part. With minimal occasional input from you, we manage who, where, what date, and when for you. Why else have you delayed keeping up with lunches? Yes, you can also use it for coffee or beer!